President Emmerson Mnangagwa (pictured) has warned he might soon be forced to trim his Cabinet, revamp various government departments and appoint powerful executives to run parastatals to improve service delivery and drive his “Zimbabwe is open for business” mantra. Presidential spokesperson, George Charamba, disclosed his boss’ new thrust in a lengthy article published in the State-run weekly Sunday Mail, titled ED strategy for Zim’s recovery, where he said the government’s structure was a threat to “ease of doing business”. “I am very clear about one thing current ministries, both in structure and temperament, cannot be the panacea to this old age challenge,” Charamba wrote. “Zimbabwe is disabled by a negative risk profile. This stems from past policy volte faces or shifts and from our poor debt servicing record,” Charamba said. In a clear sign yet that some career ministers might face the boot, Mnangagwa’s spokesperson said there was need for a clear mind set shift if Zimbabwe is to dream again. “There is a dire need for institutional reforms, for new mind sets if this nation has to regain belief in itself again,” he wrote. “There, one supremely executive and overriding institution deals with investors, deals with them from start to finish all in 24 hours. “This ‘corporatised’ executive authority led by a CEO, who is at par with Cabinet ministers, and who reports directly to Cabinet, passes for a one stop shop, which decides on everything an investor requires to speedily set up shop,” he said. 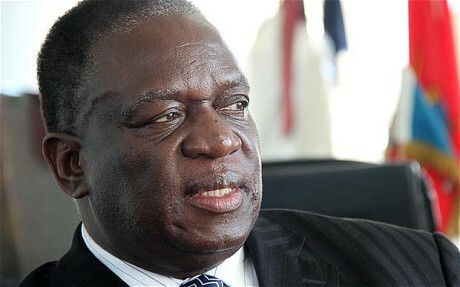 Since his appointment in November last year, Mnangagwa has reversed a number of policies introduced by his predecessor, former President Robert Mugabe, among them the indigenisation policy, which he dismissed as “mere rhetoric which has not helped anyone since it was introduced”. “Key to understanding this broad strategy of many initiatives is appreciating that President Mnangagwa is reframing the national question beyond the rhetoric of liberation struggle and land reforms,” Charamba said. He trashed the Indigenisation Act, describing it as a “sweet lie that left the nation starving and brought no benefit”. “Until now our resources were hermetically sealed – a subject for idle, rumbustious boast – ever guarded by a highly efficient ‘army’ of ‘ragged trousered’ (sic) nationalists, who had no compunction in letting Zimbabweans starve while ‘feeding’ them with the twin alibi and sweet lie of ‘indigenisation’ and empowerment,” he said. Zanu PF won the 2013 general elections with its campaign anchored on indigenisation and economic employment, where it pledged to create 2,2 million jobs, but failed to make good on its promises. Charamba said Mugabe “put off investors and left Zimbabweans with a lot to think about and nothing to show for it”. “For that reason, the old dispensation gave Zimbabweans lots of food for thought, but hardly any for the stomach, to use the late Achebe’s acerbic phrase. “It is the bureaucratic temperament, which has not only put off investors, but has bred a corrupt, anti-business outlook for which we have paid dearly,” he said.